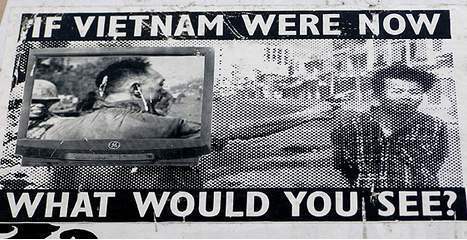 Anorak News | If Vietnam Were Now What Would We See? If Vietnam Were Now What Would We See? The comment aims at satire, but in a world of 24-hour rolling news and the internet, what we see now is everything. If Vietnam were now, we’d see the people in the background, the man in the shop, the weather patterns overhead, the ground, the air, the economy – we’d see it all. And we can choose which filter we want to see it through, or trawl the web and get all the angles. Open a website, and give your own view on the news. So what did we get then? We got a photoshopped war picture, an image without the story. If you want to know the full picture read around the matter. Read here. Find your angle. What do you see..?